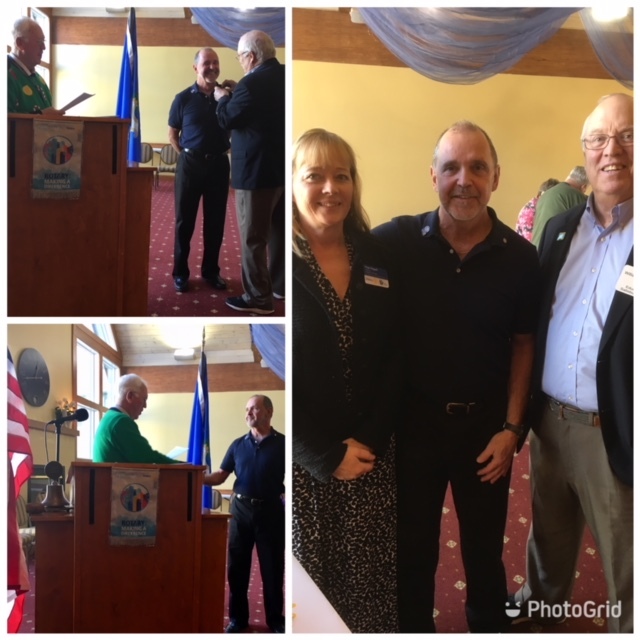 New Salisbury Rotary Club member Randy Chapell was inducted at the 11/28 luncheon meeting. The ceremony was conducted by past-President Jerry Baldwin (l) and Randy’s sponsor, Bill Spalding (r). Shown also is Club President (l) Fran Chapell. Randy’s classification is Aviation.